Kia has used hamsters to market its Soul utility vehicle, but the quirkish people mover has done quite well without the marketing embellishments. 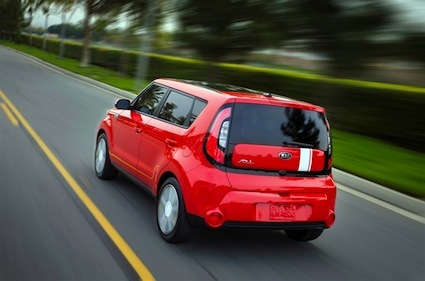 The first generation Kia Soul was introduced at the 2008 Los Angeles Auto Show. The second generation model rolled out this week at the 2013 New York International Auto Show. 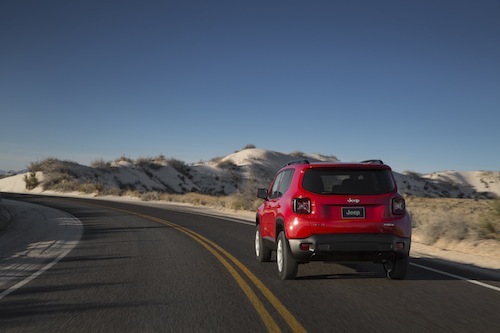 Both cities are urban centers, providing the essence or soul of what this Kia model is all about. 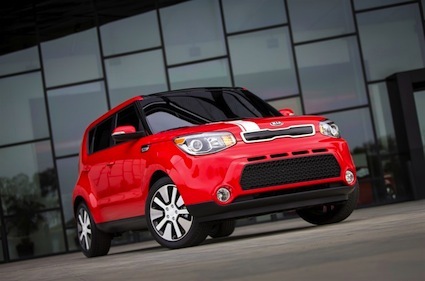 The 2014 Kia Soul is expected to go on sale during the third quarter this year. It will sit on a new platform too, one that is longer, wider and above all else stiffer than the first generation model. Kia says that this move will increase passenger room and storage capacity while attacking the bane of many utility vehicles: noise, vibration and harshness. Making any changes with a successful model carries some risks. 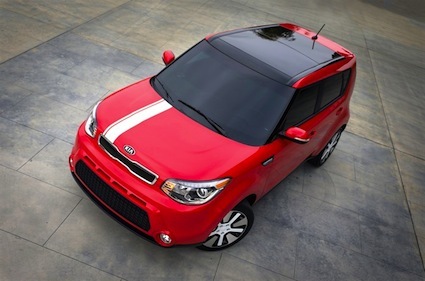 Indeed, the Kia Soul took many people by surprise even Kia to some extent. Said Michael Sprague, executive vice president of marketing and communications at Kia Motors America (KMA). “When the first Soul was introduced in 2009, everyone at Kia believed we had a hit on our hands, but we didn’t realize how big that hit was going to be.” Of the second generation model, Sprague noted that it was important that the models iconic design be maintained while bringing in modern cues for the more premium model. Whether that effort is a success or translates into a much higher price point isn’t known yet. The 2013 model is priced from $14,400. Three Kia Soul model choices will be available: Base, Plus and Exclaim. 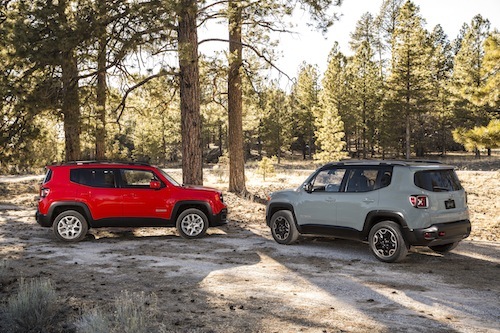 The Base Soul gets a 1.6-liter all-aluminum four cylinder direct injection engine that makes 130 horsepower at 6,300 rpm and 118 foot-pounds of torque at 4,850 rpm. A gasoline direct engine displacing at 2.0 liters is offered in all other models. This engine makes 164 horsepower at 6,200 rpm and 151 foot-pounds of torque at 4,000 rpm. Base editions are paired with a six-speed manual transmission or an optional six-speed automatic transmission. Kia Soul Plus models also get either transmission while Exclaim models are equipped with the automatic transmission alone. 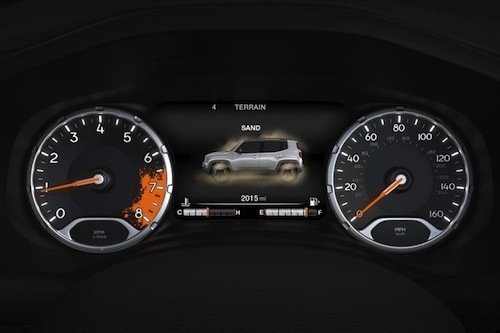 Inside, the Kia Soul is outfitted with a new instrument panel including an available eight-inch capacitative touchscreen. 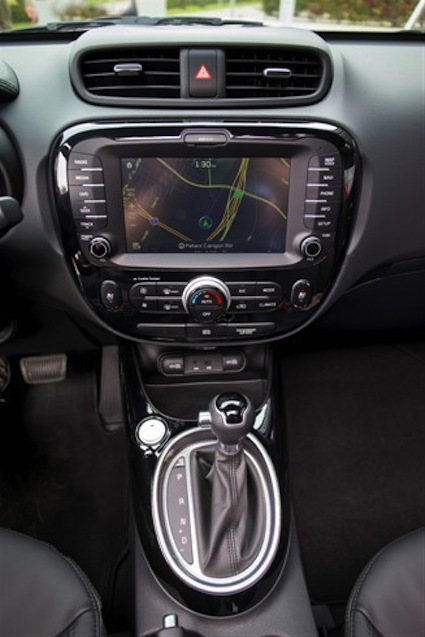 From that screen drivers can access Kia telematics and the infotainment system, as well as providing iPhone and Android smartphone connectivity. Kia says that the screen arrangement provides improved visibility and one finger access, with ancillary controls arranged so as to reduce driver distraction. In addition, turn-by-turn directions are now displayed from the navigation system. Pandora Internet radio is now fully integrated into the head unit and can be accessed by touch or by voice. A trial subscription to SiriusXM data services and travel link offers reports about road conditions, weather and security. The package also provides fuel prices, stock information, movie times and sport scores. Once the three-month trial is up, owners can purchase annual and multi-year plans or monthly plans ranging from $1.99 to $8.99 per month. 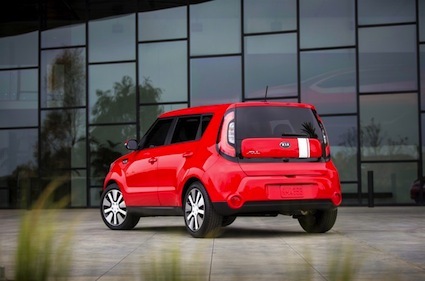 Standard Kia Soul equipment includes power accessories windows, door locks and the heated side mirrors a six-speaker audio system, Bluetooth connectivity and a telescoping steering wheel column. Available amenities include 16-inch alloy wheels, cruise control and remote keyless entry. 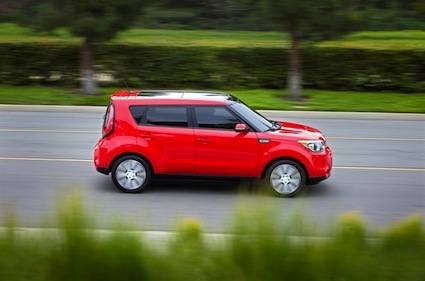 Choose the Kia Soul Plus and your vehicle is equipped with 17-inch alloy wheels, side mirror turn-signal indicators, automatic headlamps, UVO eServices, a rear camera display and optional navigation system. Available options at this trim level include fog lights, ambient lighting, an upgraded audio system, a panoramic sunroof, leather seating surfaces and a heated steering wheel. 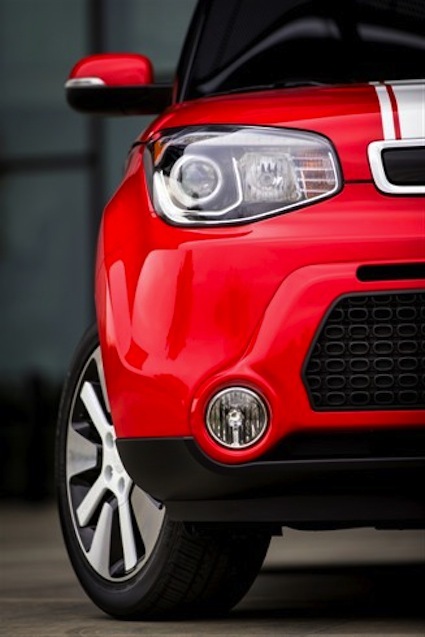 The Kia Soul Exclaim has 18-inch alloy wheels, projector beam headlamps, LED positioning lights, a 10-way power drivers seat with lumbar support and upgraded interior trim. Also available is a navigation system, automatic climate control, push button start, heated and ventilated seating and an Infinity audio system. Will Kia continue marketing the Soul with its hip-hop hamsters or will the Korean automaker upgrade to classical music loving guinea pigs? 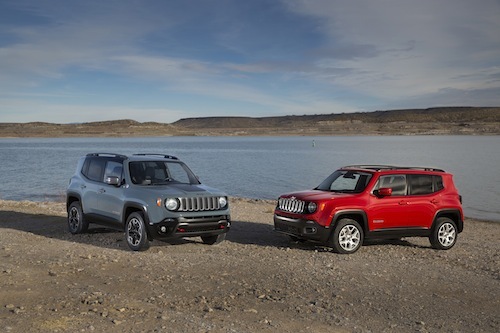 No matter, this five-passenger front-wheel-drive model will likely do quite well selling itself, long a proven hit in a sea of small utility vehicles.